There are many people who totally lack introspection or perception. Case in point is the following Facebook post from a school “counselor” with SJW leanings. It seems that Gen Z youth — those born 1995 to present, also known as Post-Millennials, the iGeneration and the Homeland Generation — are having an awakening (aka “red pilling”). Interestingly, the counselor mentions both young women and men. I have a response for this teacher: Whether you like it or not, what you’re seeing is called blowback. It should come as absolutely no surprise and is a natural reaction. A generation of white youth is being made into scapegoats. As The New Nationalist (TNN) has been covering [see 17 articles below], their basic civil rights are being violated. These are the cadre that end up on college campuses and who see the worst elements of twisted, Millennial, anti-white agit-prop. Even Forbes, which we now rate as a passable mainstream media source, is dialed into the Gen Z political phenomena and covers it in a reasonably balanced way here. As adults, we shouldn’t be overly concerned about how this manifests itself or the symbology used. Youth will be more rebellious, and they may incorporate shock value that gets the attention of the lugenpresse. Mostly, the Gen Z presentation is clean cut. 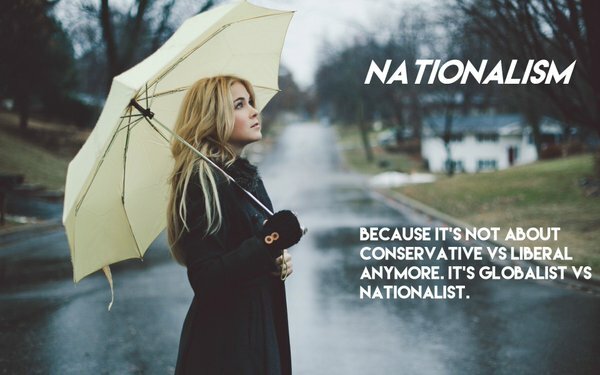 It is also true that many of these Gen Zers are (or were) Trumptards. New Nationalists who understand that this is not about dialectic partisanship can and should debate and educate them on that, but in a brotherly manner. TNN’s “elder advice” is to focus like a laser on the anti-white behaviors from any source. The participation of members of any particular tribe or racial groups involved in anti-white agit-prop and anti-white civil rights should be matter of fact and evidence-based. Since Gen Zers are in part red pilled, the broader question is whether can they be mobilized as a force against Zionist neocon warmongering. That might require blood spilled or friends lost in a war in which the target (North Korea, or Iran) fights back. Gen Z, being of fighting age, would take the hit. If a large anti-war America First movement manifested as a result, then kleptocratic Crime Syndicate captured politics will be turned on its head. This would be our beyond-left-and-right third-position nationalism. The list below is but a sampling of documented anti-white behavior. It can be used as debate points. It is also time for those (of any generation) who oppose anti-white behaviors to use our own shame card. The ICS formula is to identify specific behaviors and who does them (if the shoe fits, wear it), condemn, shame.